Speedmonkey: Will Lewis Hamilton Clinch the 2017 Formula 1 Title? Will Lewis Hamilton Clinch the 2017 Formula 1 Title? The race to be crowned 2017’s Formula 1 champion is heating up, and with only four races left on the calendar, everything is still to play for. Currently, the front-runner is Lewis Hamilton. Having driven supremely well throughout the year, he’s managed his races like a true professional while taking advantage of his opponents’ poor luck and technical difficulties. However, he hasn’t had it all his own way, as several drivers are close behind him in the standings, ready to pounce on any bad starts or questionable pit stops. So, to judge whether the British driver – who’s been an inspiration to young drivers across the world – has a chance of claiming his fourth world championship, we’ll examine the performance of his car, the other drivers who could challenge him, and the remaining races that are still to be decided – buckle up folks! It’s no secret that Team Mercedes has dominated the drivers’ and constructors’ championship for the past few years, with Lewis Hamilton winning from 2013 to 2015 and the now retired Nico Rosberg clinching the title in 2016. Mercedes’ raw power, straight-line speed advantage, and terrifying efficiency made them the team to beat, emulating the sheer dominance that teams such as Red Bull and Ferrari have enjoyed in the past. While it might be considered boring to see one team outclass the competition so effectively, it’s important to remember that Mercedes haven’t had it all their own way this season. Indeed, changes to car designs – including engines, front wings, and tyres – mean that the German manufacturer has had its performance pegged back, resulting in the competition gaining ground. While some Mercedes fans will have been looking over their shoulder at the progress of other teams, who can seriously bemoan more exciting races? Apart from Toto Wolff, maybe. 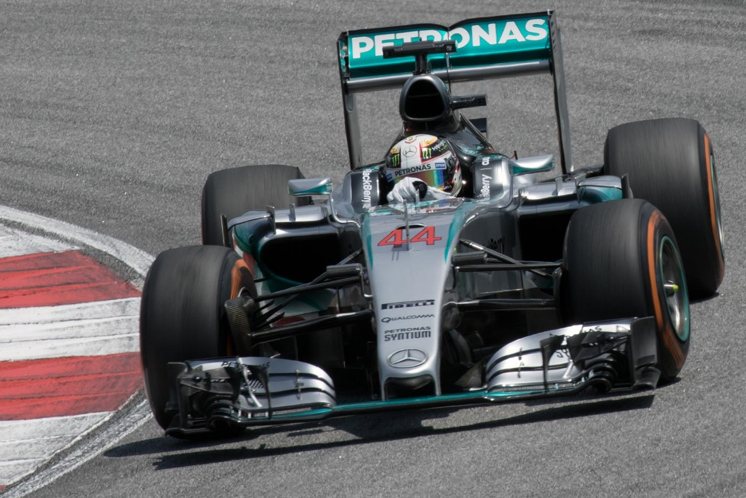 Regardless of the changes from last season, there’s no denying that Hamilton has adapted well to the new cars. 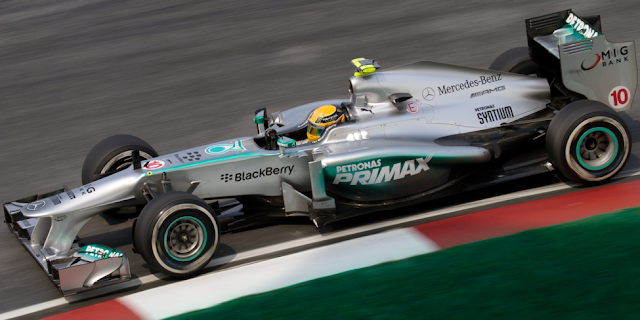 The raw power of the Mercedes-AMG Petronas PU106 Hybrid engine may have helped Hamilton stay ahead of the majority of the pack, earning him the most pole positions of any other driver. But it’s Hamilton’s natural driving talent and race management skills that have kept Team Mercedes in pole position as we come to the end of the racing year. The clear leader with 306 points on the board, some fans will be thinking that it’s a foregone conclusion that with only four races left, Lewis Hamilton is on course to clinch his fourth world title. They may well be right, but that doesn’t mean there aren’t other drivers hot on his heels, and with a maximum of 100 points on offer, it’s all still to play for! The closest, and most obvious, challenger that could derail Hamilton’s title hopes is Ferrari’s Sebastian Vettel. Having led the championship for large parts of the calendar, the four-time world champion is only 59 points behind the current leader, meaning that a couple of wins and a healthy dose of luck could see him back at the top. Not only is Vettel an extremely talented driver, his years of experience on the track make him a dangerous opponent to race against, especially when the margins for error are so small. Equally, Vettel is backed by a powerful Ferrari engine, which has consistently dwarfed other cars with its straight-line speed. If you want to know how just close the final four races could get, check out the latest Formula 1 betting tips. Another driver that could upset Hamilton’s victory is his own teammate, Valtteri Bottas. He is only 13 points behind Sebastian Vettel, putting him firmly in the race for the world championship, and with a near-identical car to Hamilton’s, he’ll certainly have the pace and power to compete. However, while Mercedes do not operate a first and second driver policy, it’s a little farfetched to think that the team would risk handing the title to Ferrari just so the teammates can race it out. How the rest of the season plays out could be determined by the remaining circuits. The United States, Mexican, Brazilian, and Abu Dhabi Grand Prix are all that stand between Lewis Hamilton and glory, but are they the best tracks for his driving style and car? The Circuit of the Americas has always been kind to Hamilton, having won four out of the last five races that were held there. However, Sebastian Vettel still holds the all-time fastest lap for this circuit, and in the improved Ferrari, it’s not difficult to imagine that Vettel will produce a serious challenge. 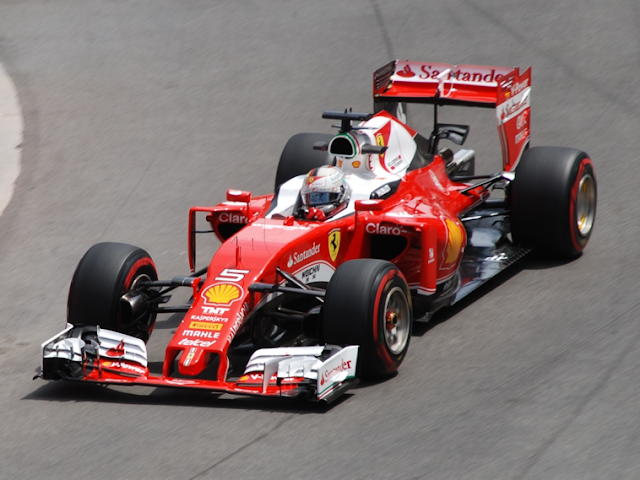 Additionally, the relatively flat circuit, which has two very long straights, will give Ferrari an extra boost. On the other hand, the Abu Dhabi Grand Prix, the final race of the season, is a personal favourite of Hamilton. With it’s almost unbearable conditions, fast straights, and tricky corners, this is a circuit that requires no small amount of skill and focus – and Hamilton has won here twice in the past three seasons! If it all comes down the last race, he’s sure to feel confident about his chances. While there are many obstacles that could trip Hamilton up, it’s hard to look past his dominance this season, and unless something goes spectacularly wrong in the final four races, he’s the clear favourite to win the championship. However, Formula 1 is nothing if not unpredictable, so there could be some surprises in store further down the track for everyone to enjoy!